Since it first rolled out for the 2016 model year, the Mazda CX-3 has been a premium choice for drivers looking for a versatile subcompact SUV that delivers big on features and overall value. The 2019 Mazda CX-3 is the most appealing iteration of this popular SUV to date, boasting a stunning design and more exhilarating power than ever before. Everywhere you look, the 2019 CX-3 offers interesting and striking new design details. On the front end, a new grille design compliments the lower bumper chrome accents. Around back, all-new LED signature taillights leave a lasting impression. Inside, the 2019 CX-3 offers more high-end options than in previous years, including full-leather seat surfaces, complete with prominent stitching and pleated piping. Additionally, the 2019 CX-3 is equipped with new seats altogether, which are wider and firmer for additional support. One of the most exciting changes coming to the 2019 Mazda CX-3 is the retuned SKYACTIV-G® 2.0-liter engine, which will now deliver 148 horsepower and increased torque across the rpm range, with a maximum torque of 140 lb-ft. 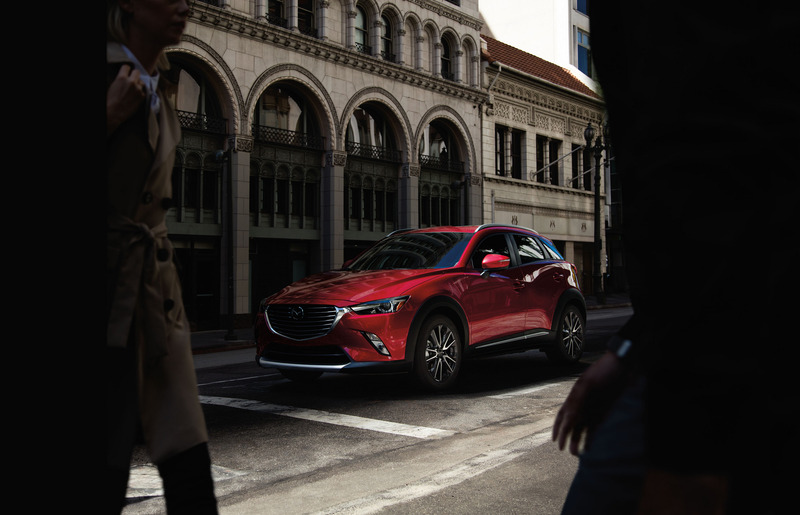 Check in with Wantagh Mazda for more updates about the highly anticipated 2019 Mazda CX-3, set to arrive on dealership lots very soon.